Spring in Japan. No, not yet. Not yet. The air is usually already warmer by the time of Buddha’s birthday on 8 April. But this year spring has kept feinting an attack and then has hastily retreated. This week it has felt like we were still in December. Cherry blossom viewing can be poignant. Weather forecasts give detailed forecasts of when the trees will be in full bloom. Some of the drinking and karaoke parties in the parks are superficial. But for many Japanese people there is still sadness behind the beauty. The trees bloom. Then the petals blow away in the wind. And decay in the dirt. The transience of life. One of the quotes above comes from the movie Sugata Sanshiro. 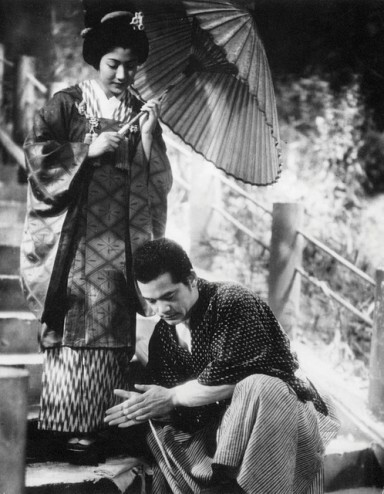 It was the first movie Akira Kurosawa directed. He obviously didn’t know a lot about judo but the movie is anyway excellent. The story is loosely based on the life of Shiro Saigo. He was one of the first two people to be awarded a black belt in judo by Jigoro Kano. The other was Tsunejiro Tomita. Tomita’s son Tsuneo Tomita was a novelist and he wrote the original novel Sugata Sanshiro. Sanshiro wanted to become a great martial artist. He went to a famous jujutsu teacher. The teacher and his companions ambushed a judo teacher they did not approve of. Sanshiro was invited to come along and watch and learn. Things did not go to plan and the judo teacher threw all the jujutsu attackers into the river. Not surprisingly Sanshiro decided to follow the judo teacher instead. Gradually Sanshiro became stronger and stronger. He liked to test himself by getting into fights. But his teacher scolded him and told him he knew nothing about compassion. Like a lot of people who think they know about martial arts. Sanshiro’s special technique was yama arashi, mountain storm. It’s a kind of tai otoshi or harai goshi with a cross grip. There are similar techniques in aikido.